On Saturday, March 23, Blue Ocean Society for Marine Conservation is hosting a Marine Science Educator Workshop at the Seacoast Science Center in Rye, NH. The all-day workshop, which is open to the public, includes a variety of speakers and activities to teach about current ocean issues, research and how to help the environment. Confirmed speakers include scientists discussing sea star wasting disease, oysters, green crabs, North Atlantic right whales, and the impacts of plastics on seabirds. Blue Ocean Society staff will also be presenting information on their unique whale research, beach cleanup programs and volunteer opportunities. Breakfast and lunch will be provided. 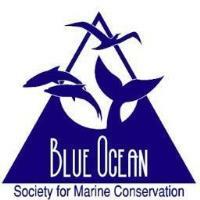 Blue Ocean Society for Marine Conservation is a 501(c)3 non-profit organization dedicated to inspiring people to take action and make a positive change for the ocean. Using its leading research, Blue Ocean Society educates people about marine life and the distinct threats to the marine environment.